Riccardo M Sahiti is born Romany. In 1990 he completed his conducting/music pedagogics studies at the Faculty of Music in Belgrade with Prof Stanko Sepic. He deepened this education by studying opera symphonic conducting at the Tchaikovsky Conservatory in Moscow under Yuri Ivanovic Simonov, as well as at the Frankfurt University of Music and Performing Arts with Prof Jiří Stárek. He has attended masterclasses with Jorma Panula and Péter Eötvös. Sahiti has gained wide experience as a conductor working with the Belgrade Philharmonic Orchestra, the Silesian Philharmonic Orchestra Kattowice, the Radio Symphony Orchestra Belgrade, and the Symphony Orchestra Savarija Szombathely of Hungary. 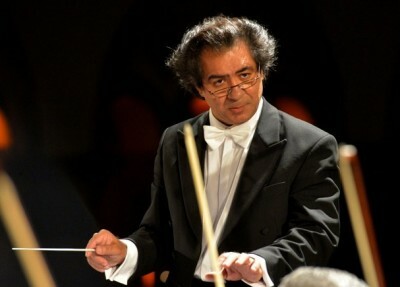 Riccardo M Sahiti is the artistic director and conductor of the Roma and Sinti Philharmonic Orchestra since 2002.